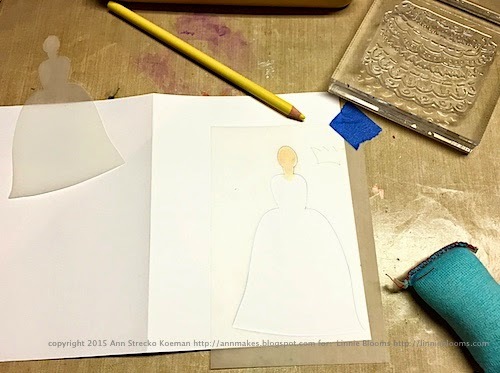 Hello, I am Ann from the Design Team here at Linnie Blooms and today I have this sweet Birthday card intended for a Special Lady. First off I started with a blank card. I traced inside the "Angel" Stencil with some wooden colouring pencils. 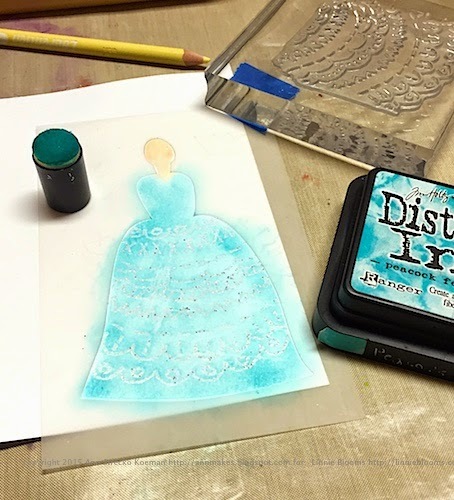 Followed by stamping with clear embossing ink and the "Stitched Doodles" stamp from Linnie Blooms and covering with clear holographic embossing powder which was heat embossed. 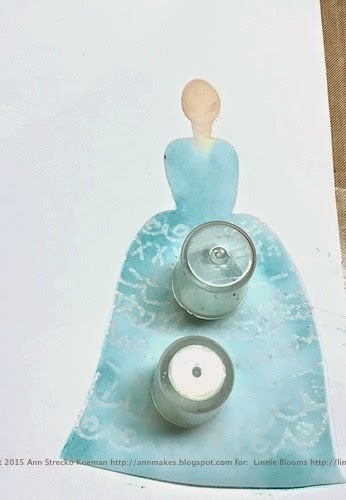 Once cool I placed the stencil back over the card making sure to align the stencilled and embossed part, and then covered with a beautiful blue ink. I let that dry. I placed the mask of "Angel" over the coloured image and weighed it down with some spray bottle caps. I sprayed some blues and greens from my kids old spray writer markers. I let that dry. 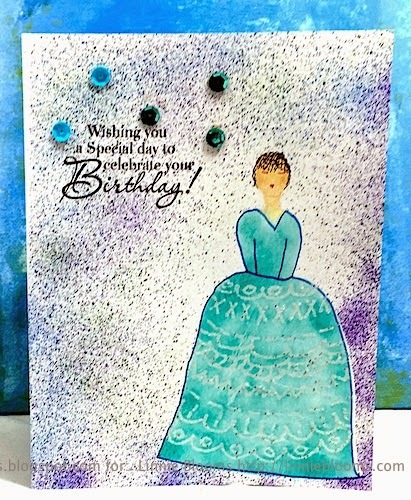 I used a Stampendous sentiment stamp with some black ink and stamped the Birthday wishes sentiment. I added drawn in details with pens and glued on some sequins. 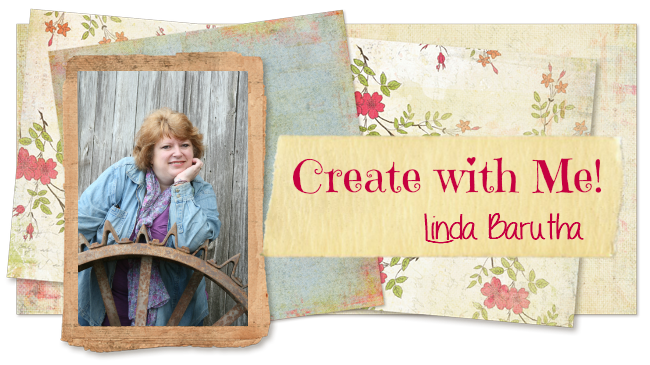 I hope I have inspired you to look at your supplies and how by using Linnie Blooms products you too can create your own little works of art. Thank you for stopping by and please stop by my blog: AnnMakes (http://annmakes.blogspot.com) to check out my other projects.